Cindy provides free staging services with her Full Service Gold Listing Package. She is also offering 5 free classes at Pur Energy Wellness Lofts — holistic approach to wellness and fitness – to her Divorce Angels clients. Cindy is an award winning Top Producer with Royal LePage Terrequity Realty with 18 years experience selling residential real estate full-time in Toronto in all price ranges. 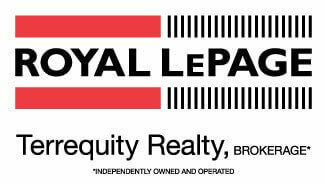 Achieving award level status every year in the business and currently rated in the top 5% of all Realtors in the GTA for Royal LePage 2016. Cindy specializes in detached semi-detached homes and condominiums across Toronto with special emphasis in the west end neighbourhoods including The Kingsway/Sunnylea/High Park/Swansea/Etobicoke Central & South/Roncesvalles/Waterfront/Queen West. With a background in design, Cindy provides clients with outstanding staging services, resources and advice on how to properly prepare their home for market to maximize value, and achieve top dollar. Professional cutting edge photography/brochures, video tours, social media, thousands of websites to maximize exposure worldwide. Cindy believes that Real Estate is a passion as much as it is a business and Cindy truly has a passion for helping people achieve their home ownership goals. Cindy says that it is critical for an agent to listen to each client's unique needs and fully understands their unique situation and phase in life. This is where Cindy truly shines in her ability to "match" a client with a property and lifestyle, providing a custom tailored made experience and strategy. Whether you are buying, selling, or both, in our experience, Cindy provides top notch service whilst exuding an extremely approachable and friendly nature. Cindy loves what she does and it shows. Cindy is a very compassionate individual who has many years of experience dealing with couples who are going through divorce and recognizes that it can be a very stressful time for all. It is Cindy's goal to make the process of selling the family home as seamless and stress-free as possible.